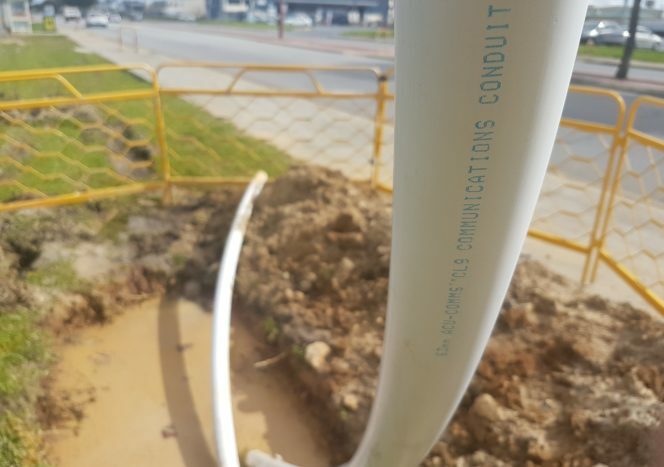 Acu-Power and Acu-Comms conduit can be installed below ground by a variety of methods, including directional drilling, ploughing, and open trench. 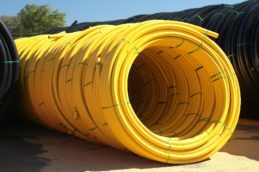 Also, its flexibility and availability in continuous coiled lengths facilitates installation into existing conduits or ducts as inner-duct. 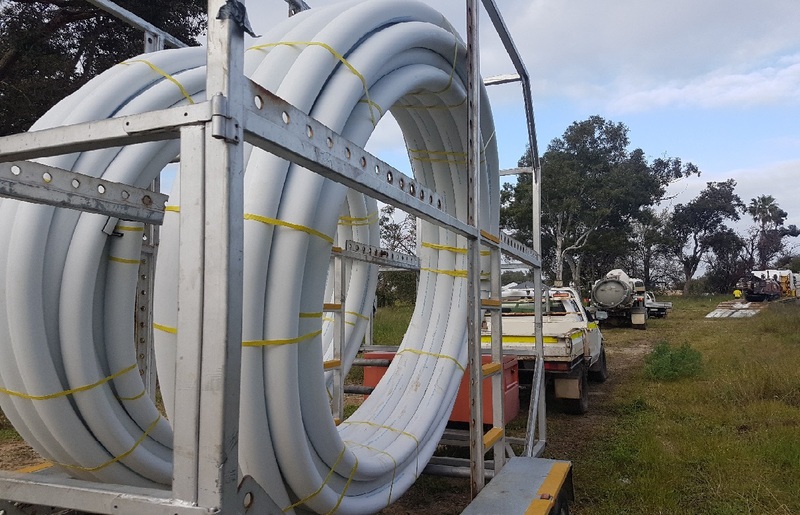 HDPE Pipe is much more flexible than PVC Pipe, and can be installed by directional drilling, or dozer direct-bury, something which could not be done with PVC Conduit. 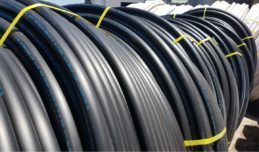 Cable conduit is manufactured from HDPE, with a coloured outer layer, known as coex (co-extruded), for easy identification. 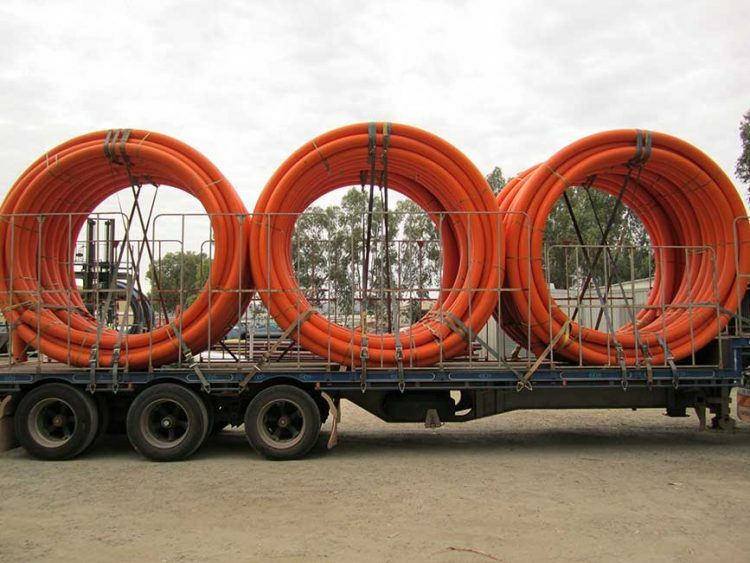 Electrical HDPE Orange coex is used for Electrical Cable protection, and Comms HDPE White Coex is used for Communications Cable protection. 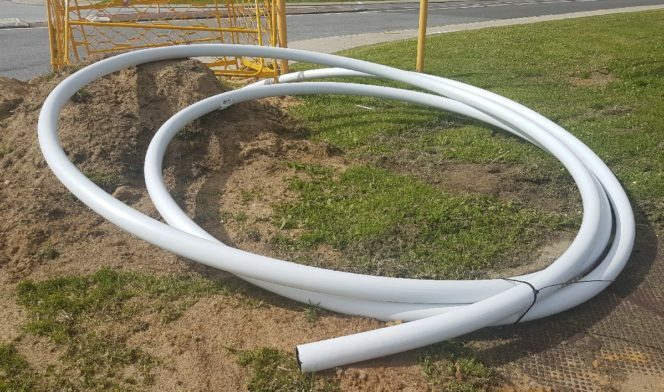 Visual Early Warning Tape is available to lay in the ground above the conduit, to avoid damage by excavation. 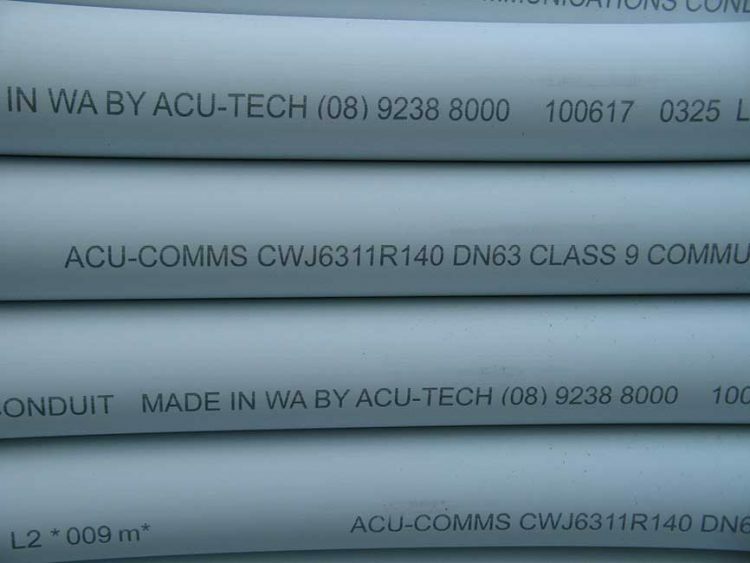 See www.acu-tech.com.au/products/pipe-marking-tape/ for Pipe Marking Tape suited for Telecommunications Conduit and Electrical Conduit. 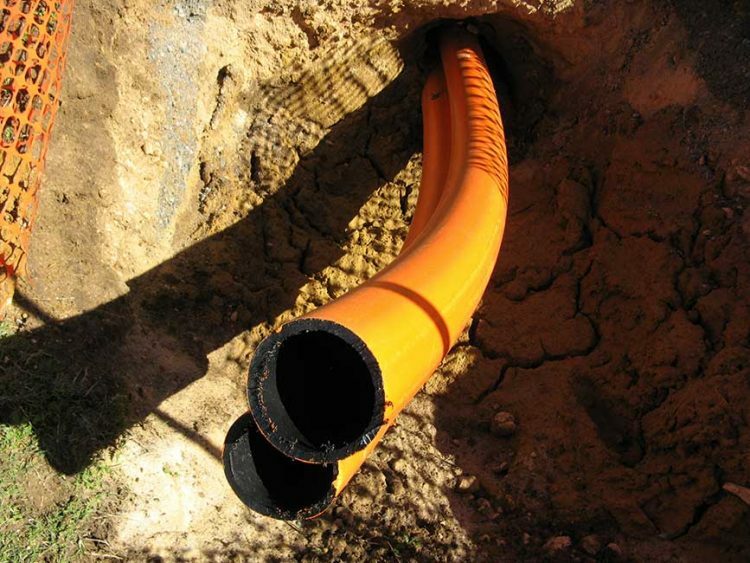 Bright colour coding; co-extruded outer layer for clear identification – Orange (ACU-POWER) or white (ACU-COMMS). 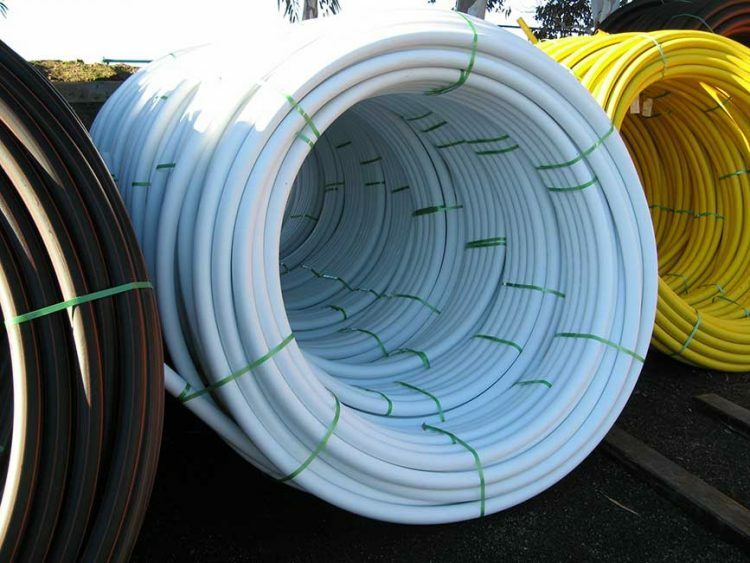 Supplied in coils which reduces the number of joints and fittings required. Cost effective installation, particularly using trench-less technology. 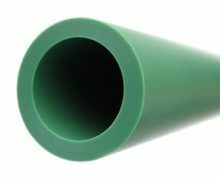 High strength and flexibility allows cold bending. Lightweight and quick to install. High quality – extremely tough and durable. 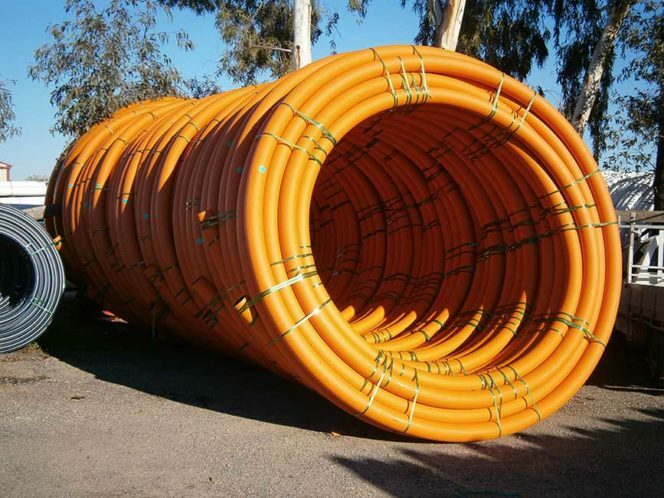 ‘Elec HDPE Orange Coex’ is HDPE Electrical Conduit (Acu-Power) Orange Coex pipe. 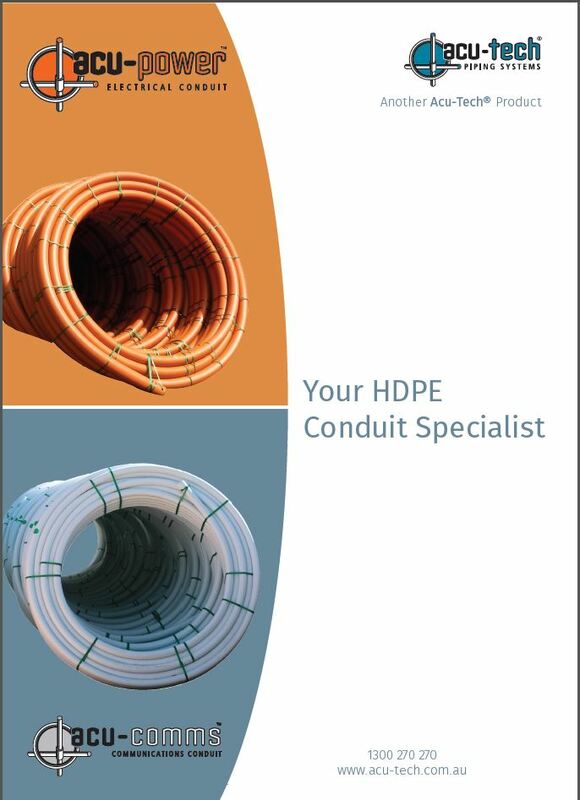 ‘Comm HDPE White Coex’ is HDPE Communications Conduit (Acu-Comms) White Coex pipe. 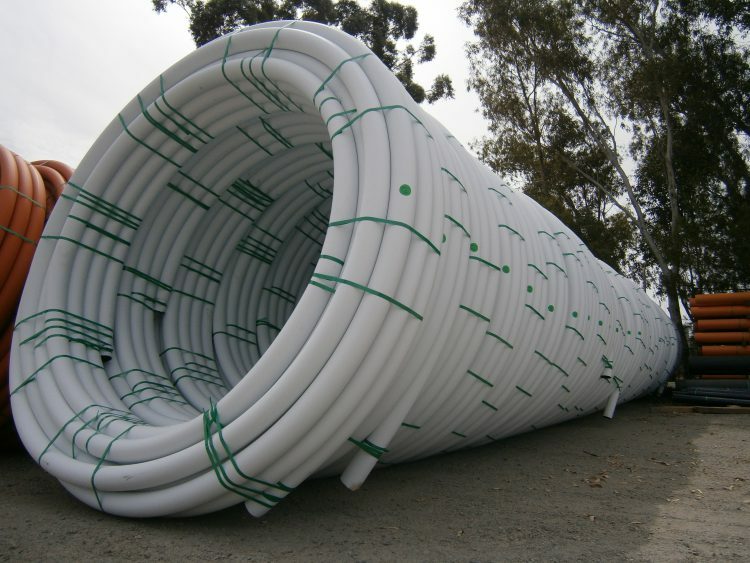 Trench-less installation greatly reduces environmental impact caused by excavation. Acu-Tech transport can deliver to site for a small fee, with HIAB unloading.